Hobbs & Porter specialise in bespoke stainless steel solutions for the catering industry including kitchens, worksurfaces and electrical and gas appliances. We can also produce any other stainless steel items as long as we have drawings and dimensions. If you do not yet have drawings we can provide drawings based upon your sketches and ideas. We can also supply or manufacture virtually anything. 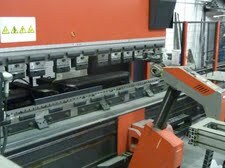 We have the machinery and the tooling for folding and bending. 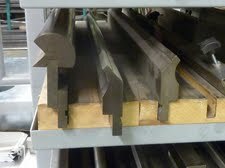 Tooling available in a multitude of profiles. If we don't have the tooling that you require we can manufacture the tooling to your specification. 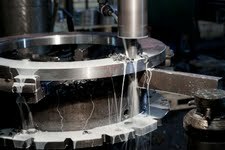 We also stock a large variety of standard tooling. 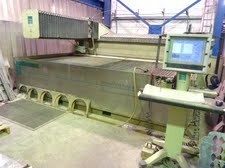 Fully CNC controlled water jet cutter working at 60000 psi. for cutting steel up to 200mm thick or any other solid objects. 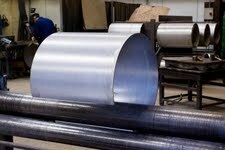 We can roll most profiles to your specification; if we can't roll it we can step-fold it. We also provide a machining service for single items or for multiple batch production. 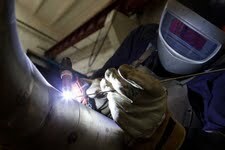 As well as being able to weld stainless steel to a very high standard we can weld mild steel and we can weld aluminium. 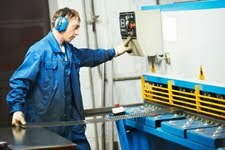 We can guillotine up to 6mm stainless steel or 10mm mild steel. 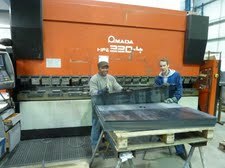 If it is too thick to guillotine then we can either laser cut, water jet or use our multi-turret punching machine.